returned him to its owners. Once, she even offered to have the dog fixed, but the owners refused. "Is it illegal not return a dog to irresponsible owners?" she asked. "He is a pit bull mix and I'm worried these people are going to use him just to breed or God forbid make him into bait for dog fighting. Not sure what to do." * ... CAMPBELL: Cody Kessler isn't the only Bakersfield product making a splash in college football. Consider Grant Campbell, the starting linebacker for the No. 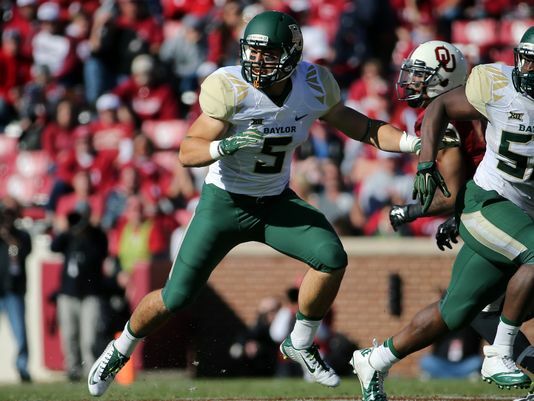 2 ranked Baylor Bears. A graduate of Garces Memorial High School, Campbell played two years at Bakersfield College before transferring to Baylor. Keep an eye on him as the Bears try to make the four-team playoff. * ... THE MARK: If you haven't driven by The Mark restaurant on 19th Street recently, it's worth doing. 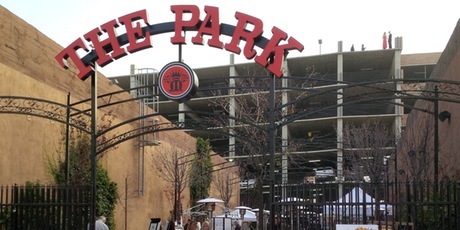 The parking lot next door has been converted into an outdoor dining area, called The Park at The Mark, and it is a dazzling display of white lights and striking signage. Here's to the owners who have gone a long way in sprucing up our downtown. 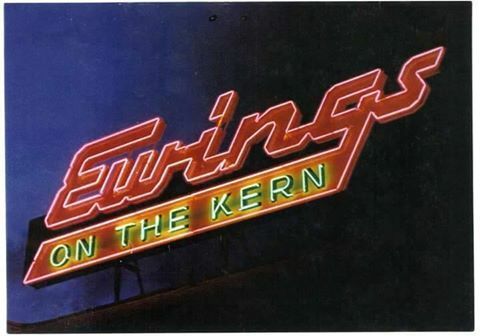 * ... EWINGS: And speaking of restaurants, reader Lynn Simmons wrote to tell me that Ewings in Kernville has been remodeled and is worth a visit. "It's quite an event with a view that you will never forget... please inform everyone!" * ... SCAMS: And the email and telephone scams just keep coming. Consider this one from Barbara Mullen who received a scam email from Bank of America. "I called the B of A and was transferred to the fraud department. After checking, they said there was nothing wrong with the account and was told not to open the attachment, that it was a scam probably to get my banking information. A few days later, I got a phone call which showed up as the U.S. government so I answered it. The man was foreign and said he was from Microsoft and wanted me to go to my computer and open it, which I did not, in fact hung up on him. This is the second call I've received from someone saying they were Microsoft and detected something wrong with my computer. I sincerely hope no one else bites on these calls." * ... SPOTTED ON TWITTER: "The sinking of the Titanic must have been a miracle to the lobsters in the kitchen." * ... FUND RAISER: Looking to donate to a good cause while getting some exercise? Then consider showing up at Yokuts Park this Sunday with your bike for a Breast Cancer Awareness Ride sponsored by the Kern Wheelmen. The cost is just $5 (for $10 you get a pink water bottle) and you can ride as far west on the bike path as you desire. All proceeds will stay local and benefit Link for Life. The ride starts at 9 a.m.